The creation of the SLMC as a political party based solely on religion was a historic blunder, which if not rectified soon, will drag the Muslim community into political abyss. The foundational philosophers of SLMC were deluded by a misguided vision about the Indian Muslim League model. The tragic consequences that Muslims of India had to face and are still facing as a result of this ethno-religious model somehow or other missed the attention of the SLMC founders. A critical study of the birth and growth of SLMC is a tempting field for research. In Sri Lanka, the demographic, linguistic and economic characteristics that had shaped Muslim settlements, and the fact that in the 1980s when the idea of a Muslim party was conceptualised ethno-nationalism was already ripping the country apart, were assumed to be irrelevant as long as Muslims could unite under a religious banner and fight for their so called ‘rights’. Up to now no one from the SLMC has enlightened the public what those unique rights are. The slogan “Allahu Akbar” and nothing about national unity or nation’s welfare decorated SLMC rallies and Muslim voters were hallucinated with Marx’s opiate so that they could forget their mundane problems and elect megalomaniac leaders, who had nothing but self-interest in their heart to promote. What the ethno-religious politics of SLMC has achieved so far were, firstly, to devalue the ‘politics of pragmatism’ which the pre-SLMC Muslim generation so successfully institutionalised by joining one or the other of the then existing national parties; secondly, to worsen the already deteriorating ethnic tensions in the country and making the Muslim community (like the Tamils under the LTTE) to lose even the little it had gained in the earlier era; thirdly, to reward incompetency, corruption and dishonesty at the expense of talent, truthfulness and dedication; and finally, to damage immeasurably the positive image that the Muslim community had cultivated over a millennium particularly amongst the majority Buddhist Sinhalese. 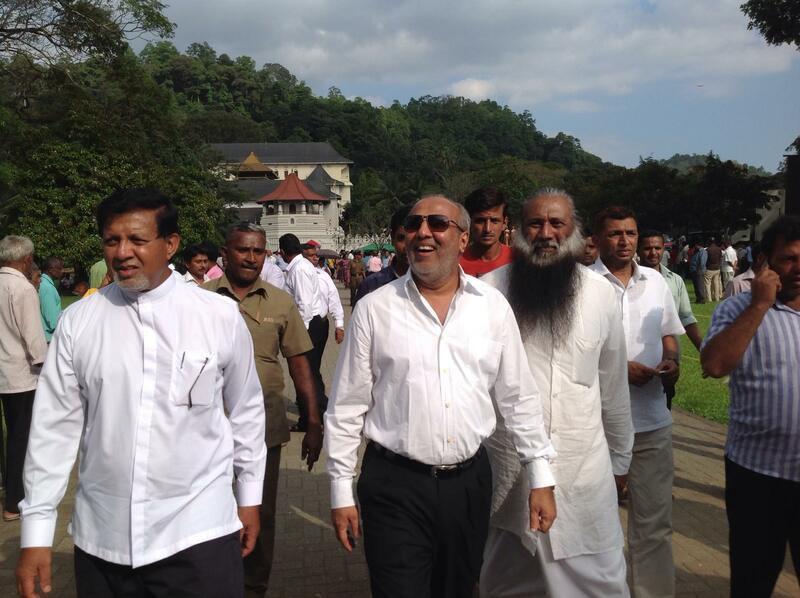 Will the SLMC provide a record of their achievements that benefited the community, let alone the nation? Have the leaders of this party made any contribution on behalf the Muslim community to the national debate on the country’s economy, security and development? All that they have done is to bargain with their coalition partners for ministerial positions and personal wealth. The issues confronting the community are too many to enumerate. For example, there is a landless Muslim peasantry in the East whose lands have been taken away by government administrators under false pretensions; there are impoverished villages in the Central Highlands whose little economy has suffered irreparably under neo-liberal economic policies; there are refugees in the North and North West who are the innocent victims of a reckless civil war and who need resettlement; and, there are the unemployment and homeless Muslims in the cities, who out of desperation are falling victims to predatory anti-social elements. A number of these issues are no doubt common to all communities and they have to be tackled not on a communal but national basis. That needs a leadership that can rise above petty ethno-nationalism and win recognition by all communities. Which one of the SLMC leaders has this quality and the capacity to address the nation at large and win the support of the majority to seek solution to Muslim problems? In a plural democracy it is through the national parties and not through sectarianism that minorities can find salvation. Whatever that the Muslims have achieved so far are the result of a farsighted generation of Muslim leadership that realised the futility of ethno-nationalism, joined hands with national leaders and persuaded the majority community that Muslims are positive contributors to national wealth and they needed national support. The pre-SLMC history of Sri Lanka will vouch for this fact. It was the success of that politics which partly prompted the late President Jayawardena to change the constitution of the country from the Westminster model to the current hybrid Gaullist model. The creation of the SLMC was the wrong move to counter JR’s master stroke. It is time the Muslim community realises the heavy price it has already paid for putting their trust on SLMC. Once before I called for the dissolution of SLMC, but that won’t happen as long as its leaders see the personal benefits they could reap from of its existence. The Muslim voters at the next election however, can reject that party and its offshoots wholesale and revert to politics of pragmatism. A Sinhalese or Tamil politician elected to the legislature with massive Muslim support will be more responsive to Muslim demands than one from the SLMC mafia or its offshoot. The community deserves a better leadership. Why Do Politicians, Celebrities And The Media Flock To Gary McKinnon’s Cause But Stay Silent About The Likes Of Talha Ahsan From Tooting?